Sudah dari beberapa lalu sang konsumen yang memesan stick ini menghubungi kita, dan tanya2 soal stick yang dia ingin kita rakit. It's been quite a while since the customer who bought this stick started contacting us, and asked questions on the stick he wanted to purchase from us. 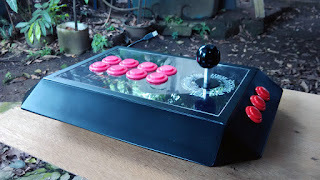 Akhirnya minggu lalu jadi juga pesan stick yang memakai stick handle homemade, tombol Taiwan tipe solder, dan tombol start tipe tiruan Jepang. 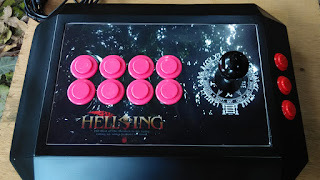 Finally last week he ordered a product that uses homemade joystick handle, solder type Chinese/Taiwanese buttons, and knock off Japanese buttons for the other three buttons. Yang unik dari stick ini adalah posisi stick yang ditaruh di kanan. 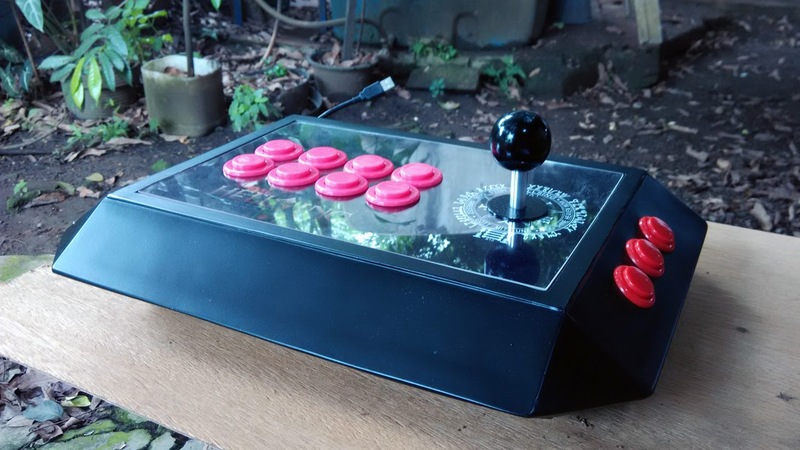 Ini pertama kali nya kita membuat stick untuk orang yang pakai tangan kanan untuk gerakin stick arcade. Susunan tombol nya yang lurus memperbolehkan orang dengan mudah untuk putar stick arcade nya lalu gerakin stick nya dengan tangan kiri, seperti kebanyakan pemain. What's unique of this stick is the handle is on the right side. This is the first time we made a stick for people who use their right arms to move in video games. 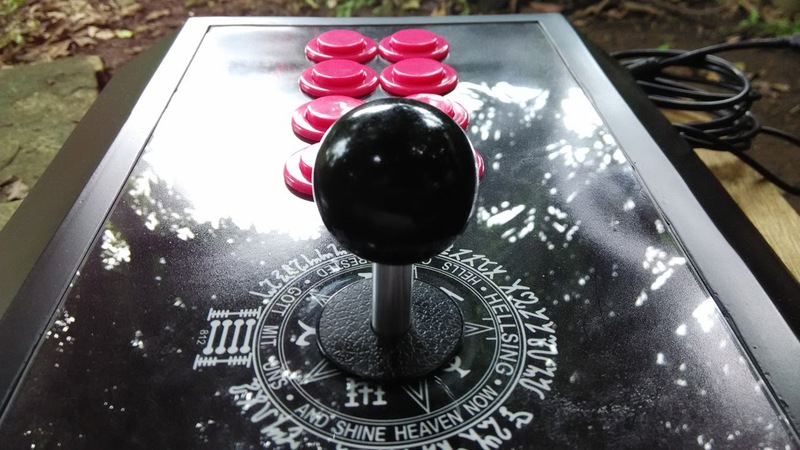 The product uses a straight button layout which easily allows people to rotate the whole stick, and move the stick handle with their left arms, like what most players do.